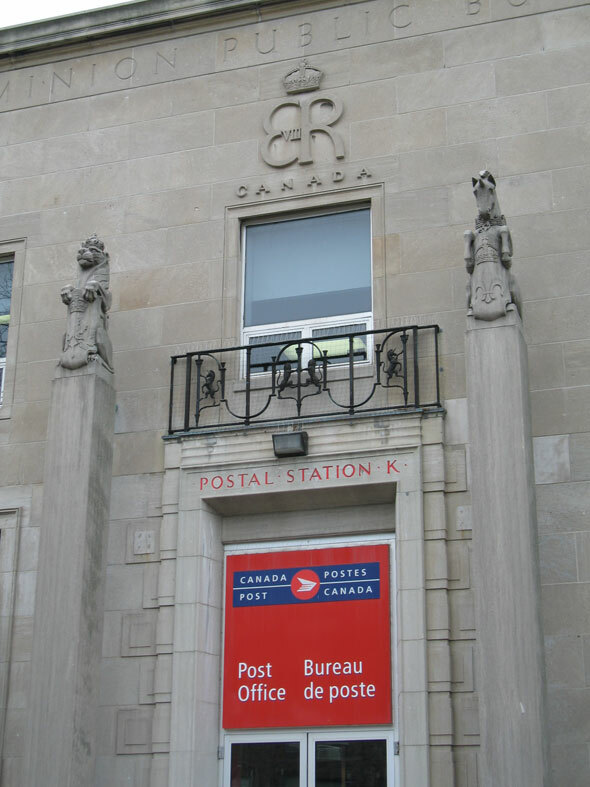 Eglinton-Lawrence councillor Karen Stintz hopes making the area in front of the historic Postal Station "K" building at Yonge and Eglinton a public square will reassure the local community that the art-deco icon will remain safe for the future. The motion, seconded by councillor John Parker and set to be considered at council next week, would give the facade of the building on the west side of Yonge new protection in the event it is redeveloped for condos, as rumored. "What it does is provide some assurances to the community that that space in front of the building will be protected as open space," Stintz said this morning. "At the point the building is sold, if it is sold, we will then take the steps to designate it as a heritage building and work with any new owner to make sure that space is protected." Stintz says she isn't necessarily against condos for the site providing they "fit with the community" and are "consistent with what the zoning is and consistent with neighbourhood." Local MPP Mike Colle, however, has been vocal in his opposition to the project, holding a series of public meetings on the subject. A final, last ditch meeting is planned for next Tuesday at the Anne Johnston Health Station amid "strong rumors" a sale has been arranged in principal. According to Colle's press release, Canada Post has avoided all local community events on the subject. A recent petition against the sale attracted thousands of signatures. Postal Station "K" stands on the former site of Montgomery's Tavern, the site of a key battle in the suppressed Upper Canada Rebellion of 1837. It was here that a group of armed militants angry at British rule made a desperate last stand against loyalist soldiers. Since then, the land had been home to a hotel, a masonic lodge, and council offices. The current building arrived in 1936. Among its many unique design features is the rare royal cypher EVIIIR, short for Edward VIII Rex, inscribed above the door. Edward VIII was king of Canada for less than a year and few buildings bear his crest. Do you think Postal Station "K" can be saved as is? What would you like to see done with the site? Do you think the negative sentiment surrounding the project might put developers off? Photos (in order) from the Toronto Archives and Wikimedia Commons.